For all of our frequently asked questions about Integrations, check out this guide. This article outlines the most frequently asked questions we've received about our Integrations. What payroll services do you integrate with? 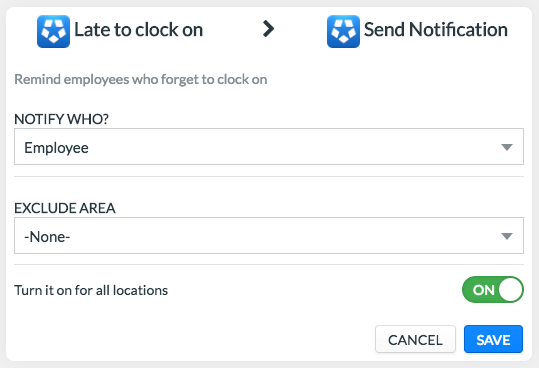 Can we send notifications to employees if they're late? Yes, you will need to set this up under the 'Late to Clock on' Deputy Extension. To do this, go to 'Location Settings' then click 'Integrations'. For more information about Creating and Using Extensions, check out our help guide. 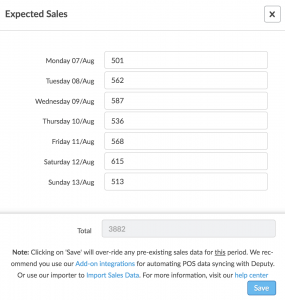 How do I enable Sales Data integration? 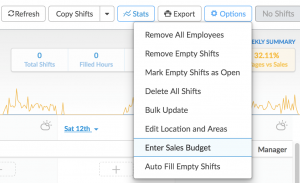 To enter your own sales data, head to the Schedule page, click 'Options' and click 'Enter Sales Budget'. From here, you can enter your values for each day. Alternatively, you can use Dropbox to connect your POS system to Deputy. To learn how to do this, check out our 'Sales Upload and and Integrations Using Dropbox' help guide.